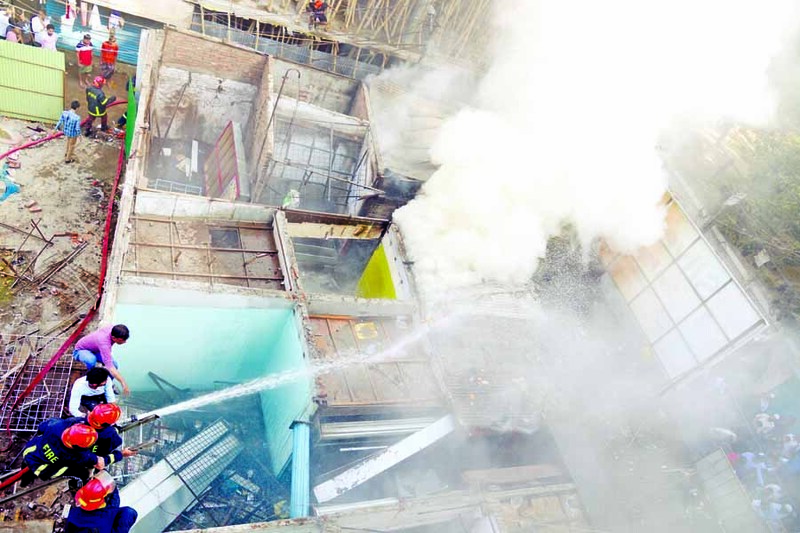 A fire broke out in a motorcycle showroom in the city's Bangsal area on Sunday afternoon. The fire broke out in a showroom at Makimpur in the area around 2:35pm said, Dana Mia, an operator of Fire Service Control Room. On information, five firefighting units rushed to the spot and managed to douse the flame around 3:42 pm, he said. The extent of loss caused by the fire could not be estimated immediately.